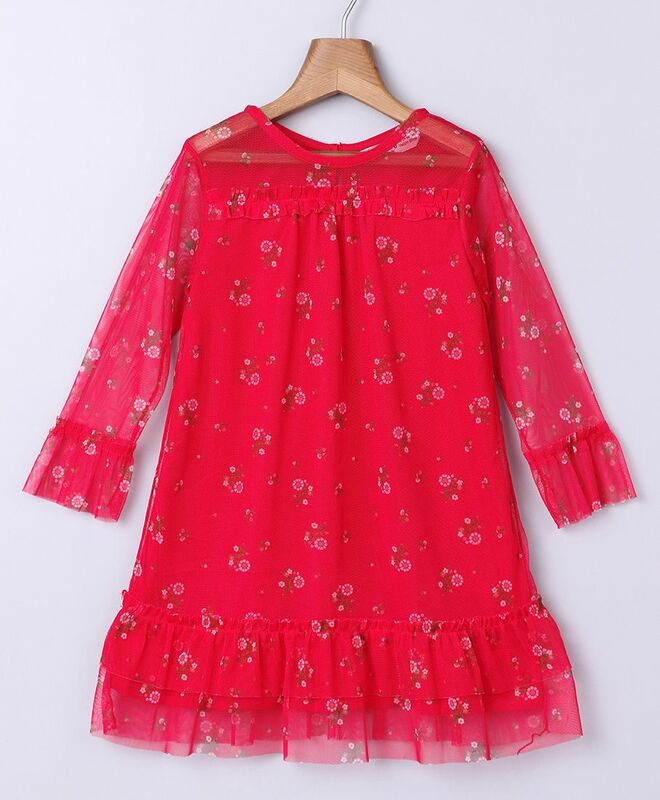 Update your little one's new season wardrobe with this full sleeves dress by Beebay. Floral print dress with back button access. Your darling is sure to look smart and voguish wearing this outfit. Styling Tip: Team it up with belly shoes and hairband to complete the look.